The Gold Standard was always one of my favorite one stop food marathons. 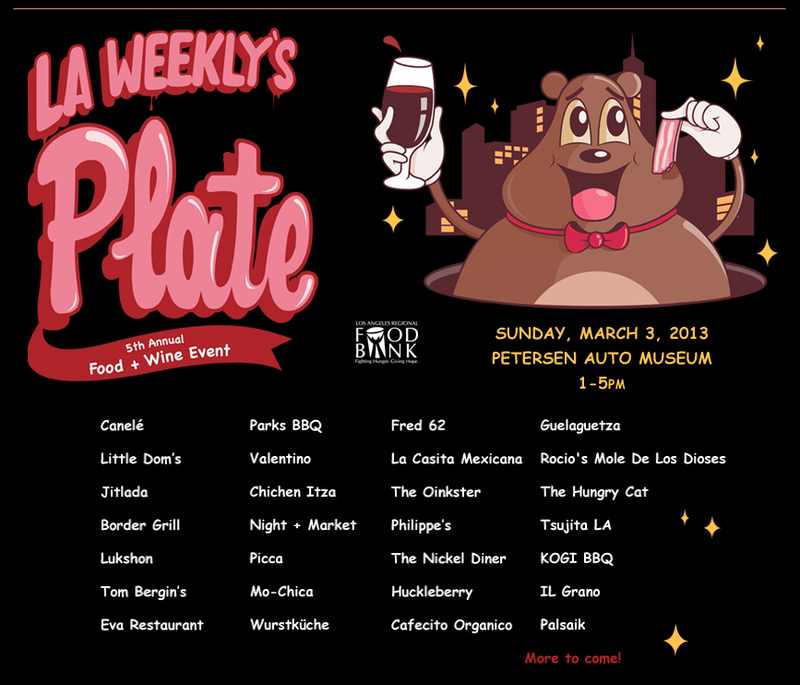 Jonathan Gold has moved on to the LA Times, and thus is not involved with the LA Weekly’s simply titled Plate. Whatever void in your soul this leaves you can fill with food from Jitlada, Picca and Chichen Itza. 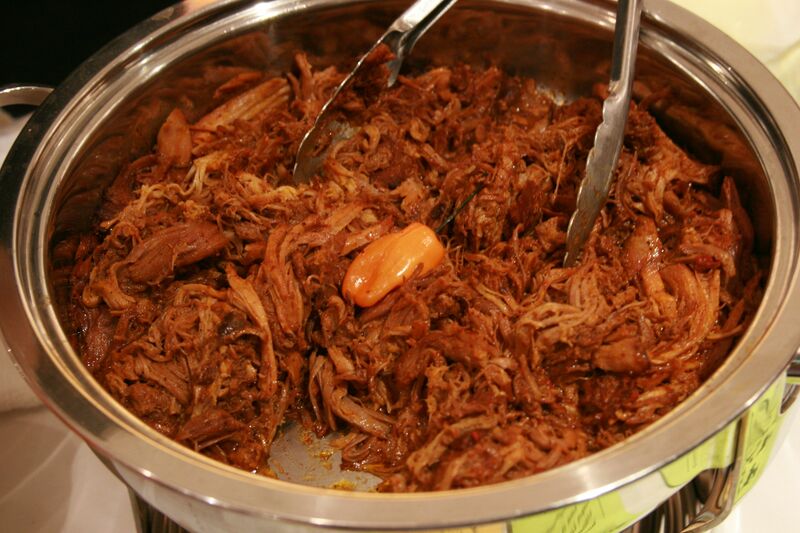 Sample food from Lukshon, Mo-Chica, the Oinkster, Phillippe’s, Park’s BBQ, Wurstkuche, Canele, La Casita Mexicana, Kogi, Valentino, Night + Market, Eva, Huckleberry, Palsaik, and many more. When I did the first food marathon in November 1996 my metabolism was faster than a Ferrari engine. 16 years later its lucky to keep pace with a Prius. And with the slowing of my metabolism so comes the infrequency of food marathons. Someone told me they’re not healthy- well everyone did actually. So I exercise. So I can eat really unhealthy things like buche tacos, foie gras and burgers with patties made from 50% bacon and 50% beef. I work out at Classic Kickboxing in Pasadena and like a gift/taunt from the food marathon gods Slater’s 50/50 just opened directly across the street from the gym. Business must be good at Slater’s Anaheim Hills, San Diego and Huntington Beach locations because the space in Pasadena is big. 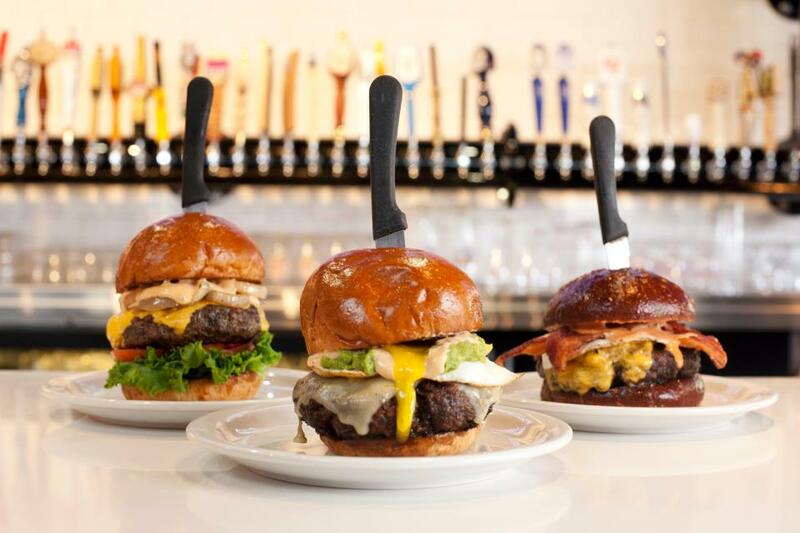 This new location will definitely be a hit, not only because of the Bacon Bloody Mary’s and extensive craft beer selection, but you can see the Laker game from any seat in the expansive space. The menu is a top ten list of bordering-on-novelty comfort food, centered around the namesake 50/50 Burger. 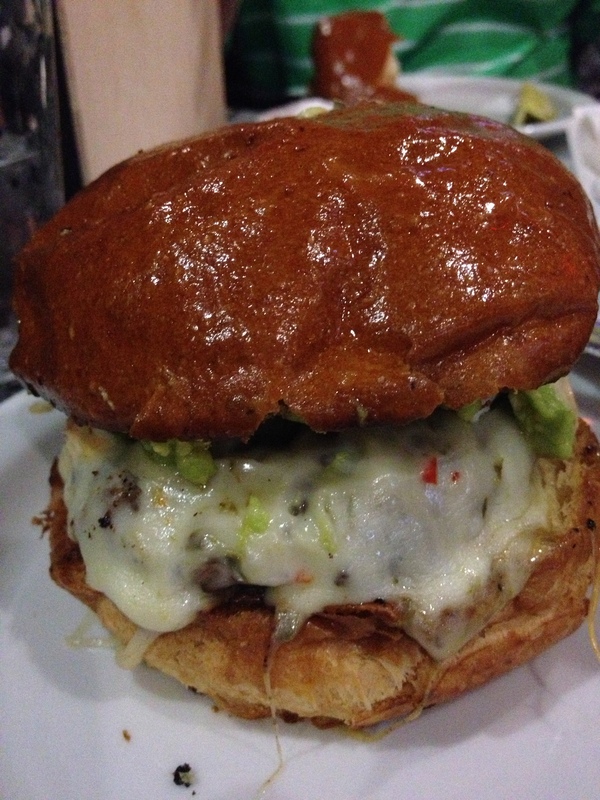 Underneath a glistening brioche bun (that’s baked in Santa Monica) is the 50/50 patty (ground beef/ground bacon). It’s worth noting that because the patty is half bacon, health code mandates that the burger be cooked to at least medium. For those who can’t bear the thought, you can order an all-beef burger medium rare or bloodier. There’s a ton of other stuff on the menu which I’ve yet to explore. I’ve got plenty of opportunities though, as I balance the delicate art of burning off calories, then eating them tenfold across the street. Official grand opening is Friday, November 23rd. 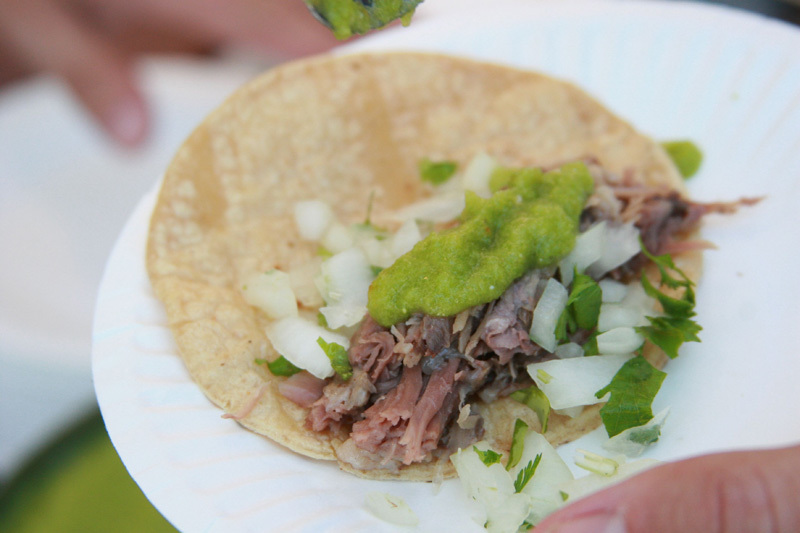 To eat LA’s best Mexican food you have to cover a lot of ground. 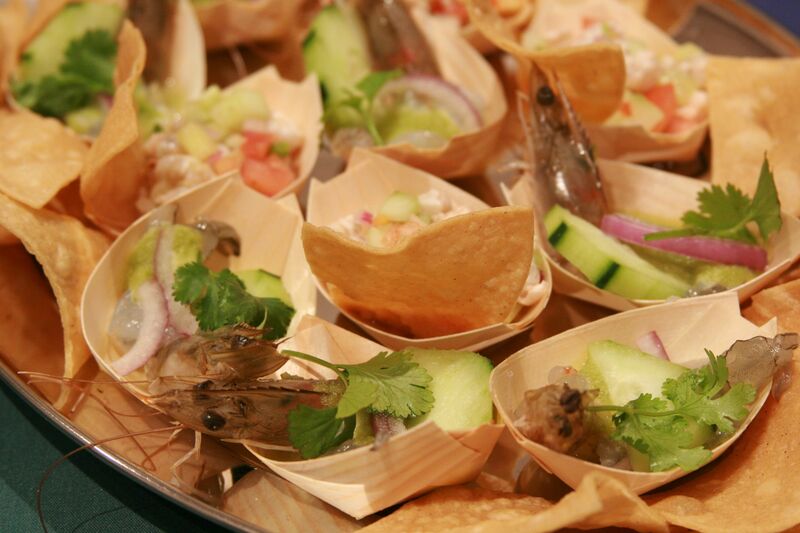 Fortunately some of LA’s best Mexican restaurants can all be found in one beautiful location at the second annual Taste of Mexico on November 30th at Vibiana downtown. 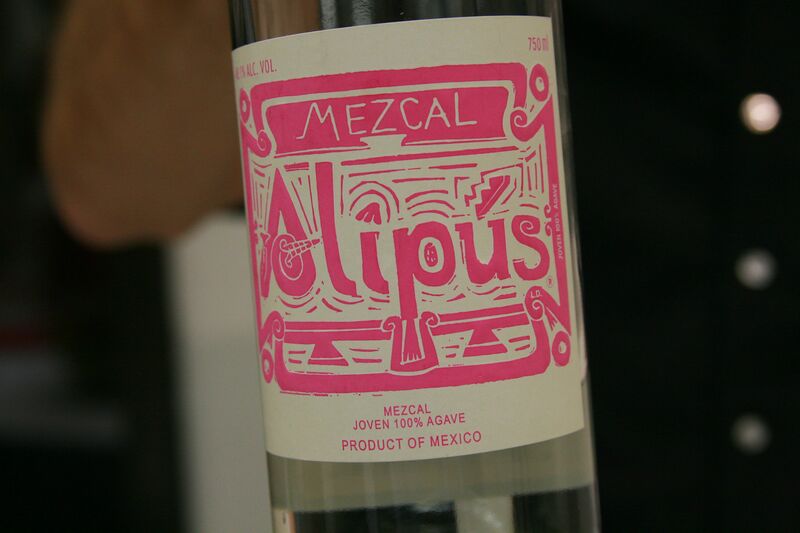 La Casita Mexicana, Guisados, La Monarca and Tortas Bravas, there will be Mexican Beer, Baja Wines, Mezcal, Ultra-Premium Tequilas, mariachi and DJs. 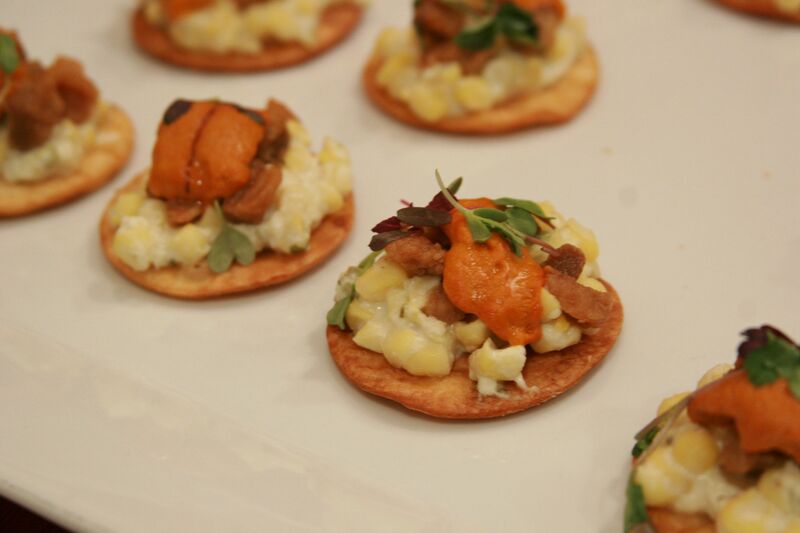 Get pre-sale pricing through November 29th on your tickets from Eventbrite or The Taste of Mexico Website. General Admission all-inclusive tickets are $50. VIP tickets get you special vendors and early admission for $70. 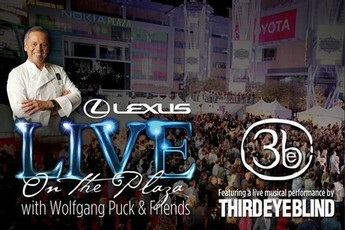 A portion of every ticket sold will benefit The Downtown LA Art Walk. Presenting Partner for the 2nd Annual Taste of Mexico is Nestle. Additional sponsors include: Consulate General of Mexico, Promexico, Goya, Tajin, Avocados of Mexico, Sysco, Tapatio, New Chef Fashion, Guerrero, Tampico Spices, Restaurant Packaging Group & Aeromexico. If I like my ramen broth so full of lily pads of pork fat that Frogger could easily traverse back and forth without stepping on a noodle, does that make me a bad person? 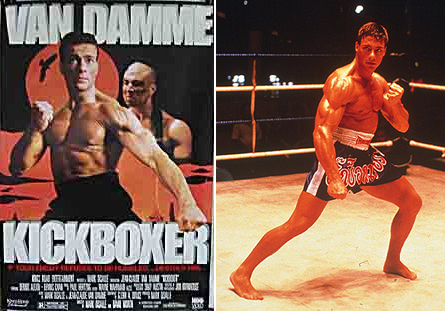 Is it the equivalent of liking Michael Bay movies? No nuance, no subtly- all just over the top flavor explosions. Because I love Ramen Hayatemaru, and I think it’s the Transformers of ramen. Tony and I did a four stop ramen marathon in Torrance because I don’t have the patience to wait in line on Sawtelle. Hayatemaru was overwhelmingly my favorite. Not just because Jonathan Gold walked in while we were halfway through our ramen, thus validating it after Garrett stamped his approval. And not because they have ice cold beer. 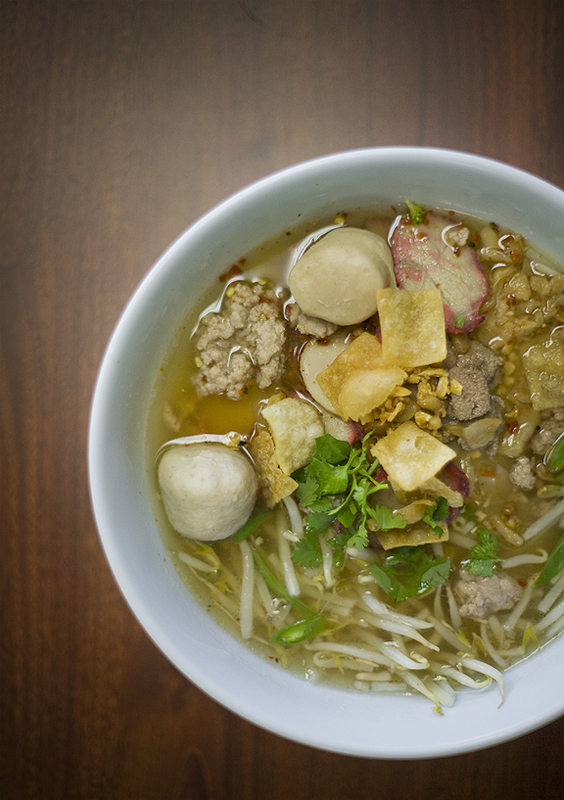 It’s because of the almost gravy-like consistency of the pork-rich broth. It’s not quite thick enough for the chopstick to stand straight up, but it’s on the way to that level of fatty density. I was totally underwhelmed by Ramen Iroha. With their simple red, black and white menu and high marks from Gold, this Japanese import seemed promising. Perhaps my lack of enthusiasm means I don’t have a sophisticated enough palate to appreciate its refined nature. When it comes to sushi I’m a purist, and maybe Iroha appeals to the ramen purists. 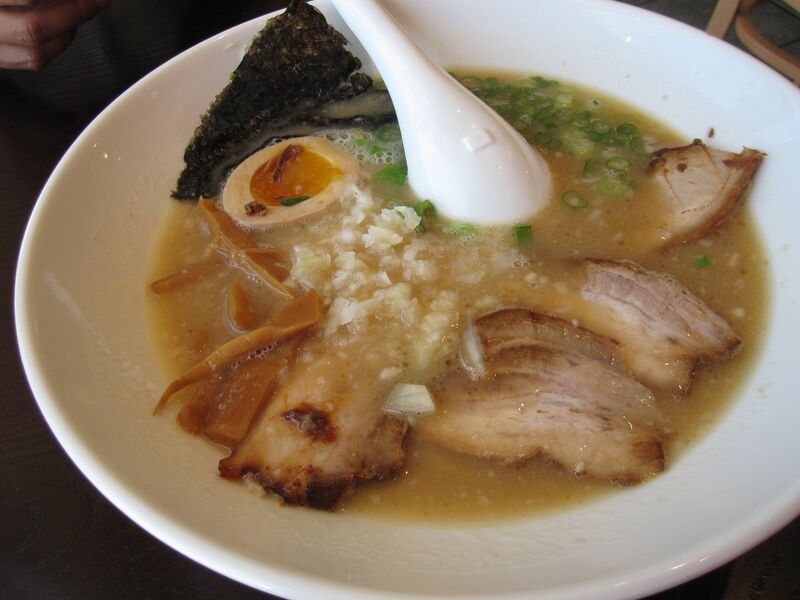 But as I said before, I’m a glutton for richness in my ramen. 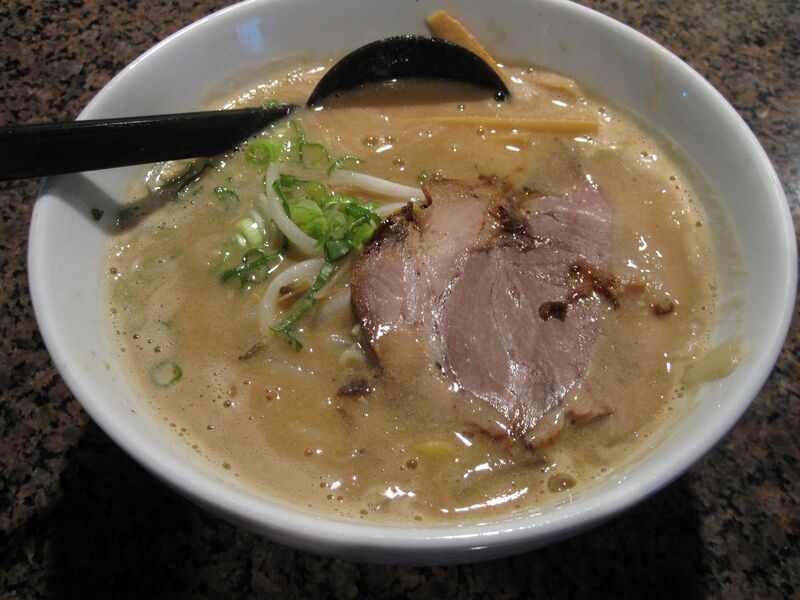 Jidaiya was pretty good, and on its own probably would be a satisfying bowl of ramen. When sandwiched between three other bowls it just didn’t stand out. 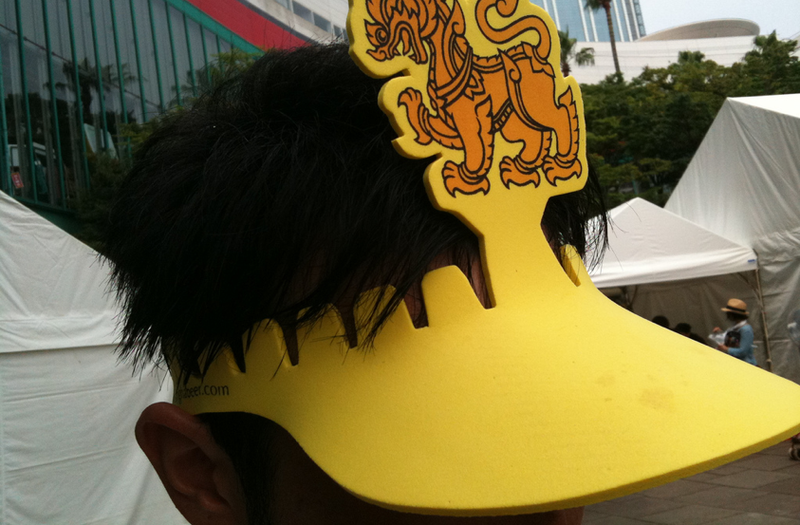 Also, they don’t have alcohol but they have a very extensive list of non-alcoholic beer…. 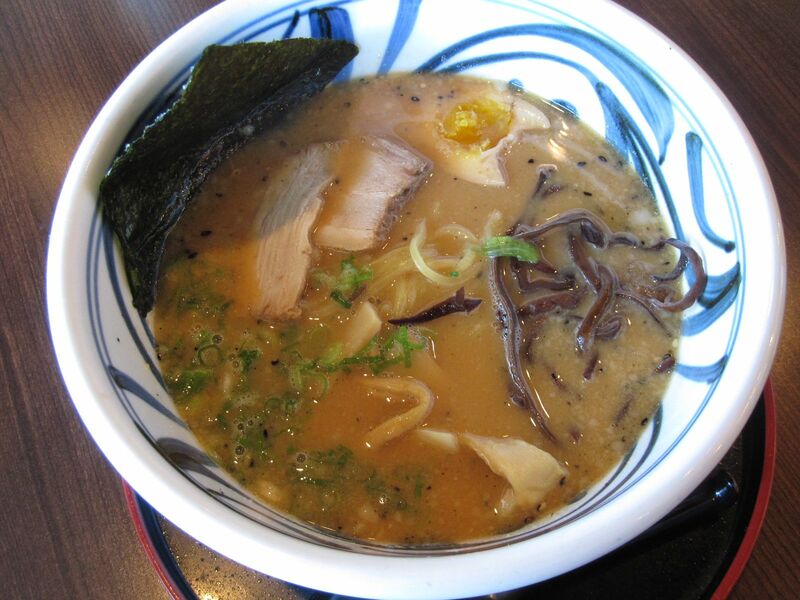 The least enjoyable bowl of ramen was from Umenoya. Their’s was full of onions and garlic, overpowering the flavor of the broth. 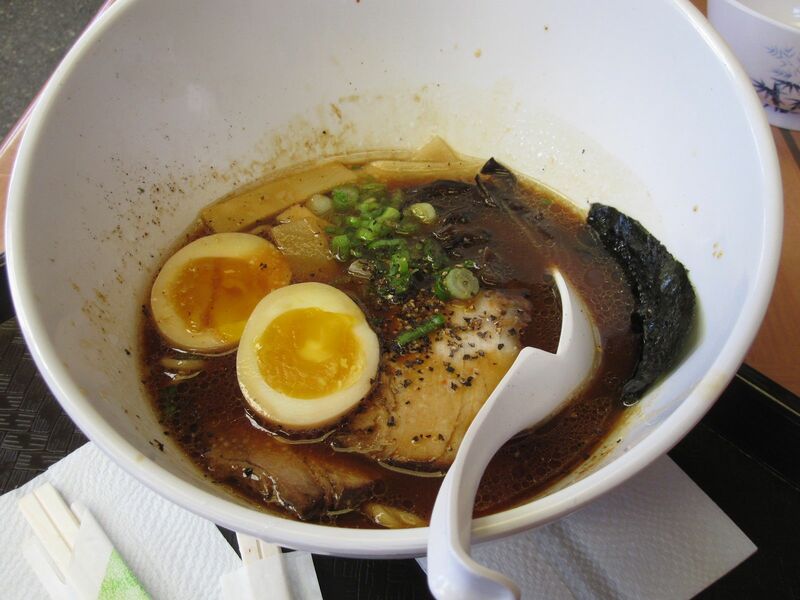 For more ramen reviews check out this Chowhound link. August 11th from 7-10pm at Nokia Plaza at LA Live you can try wine from 80 vineyards and food from 30 chefs from around the country (including Michael Mina and Wolfgang Puck). 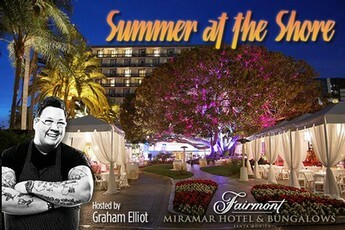 August 10th from 7-10:30pm at the Fairmont Miramar, these two overlapping events will let you sample all the best Santa Monica restaurants in one beautiful location. 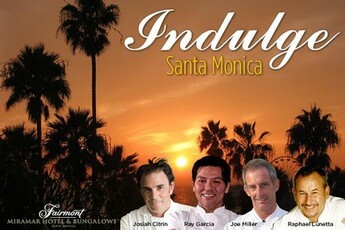 First start with the Graham Elliot event in the hotel’s entryway, then switch over to the Indulge event at Fig. Then, get a room and spend the night in a food coma. Run it off beachside in the morning. August 10th from 7-9pm at the Montage Rooftop in Beverly Hills leave your keys with your driver because the champagnes gonna flow like wine. 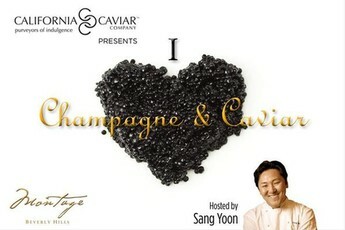 Words like decadent and extravagant would typically be used for an event like this, but let’s call it what it is Father’s Office fun (Sang Yoon is hosting) but with caviar and champagne instead of burgers and beer. I went to a small high school that rented additional classrooms, offices and a big hall from a church across the street. Parish Hall was the church’s building in and around which we ate lunch every day. Sometimes we would order Malibu Chicken sandwiches from the roach coach on the street and eat them outside Parish Hall while listening to songs like Crossover by EPMD. 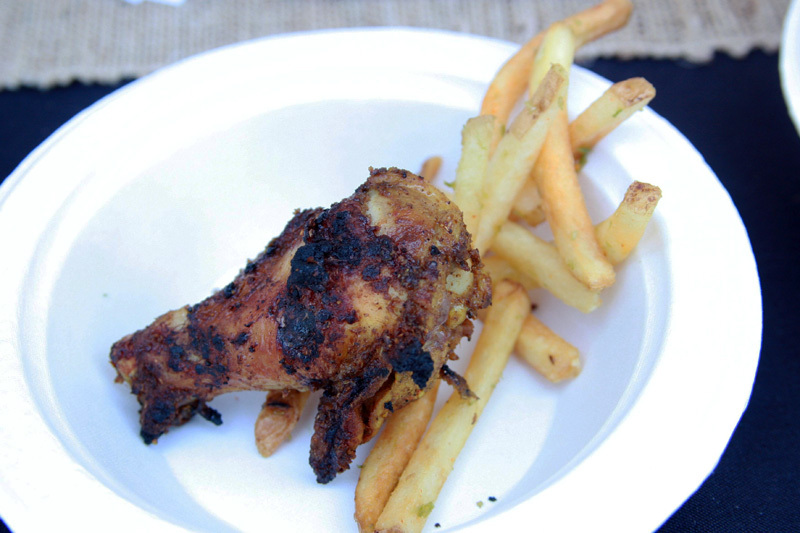 Malibu Chickens were the food truck version of Sizzler’s version of a fried chicken sandwich. They were nasty. What’s the point of all this? 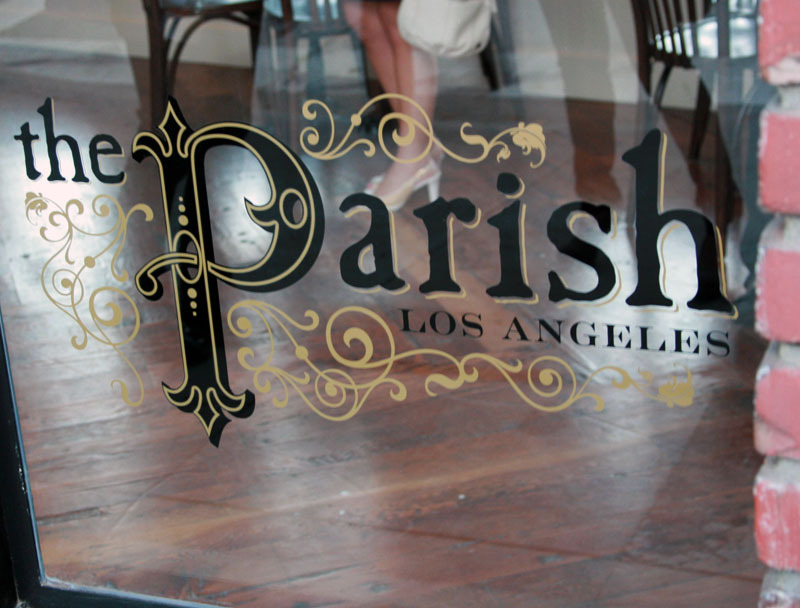 Parish was the name of the hall, Parish is the ‘P’ in EPMD and The Parish is also the name of the new gastropub downtown, from a chef who happens to cook fantastic buttermilk fried chicken. 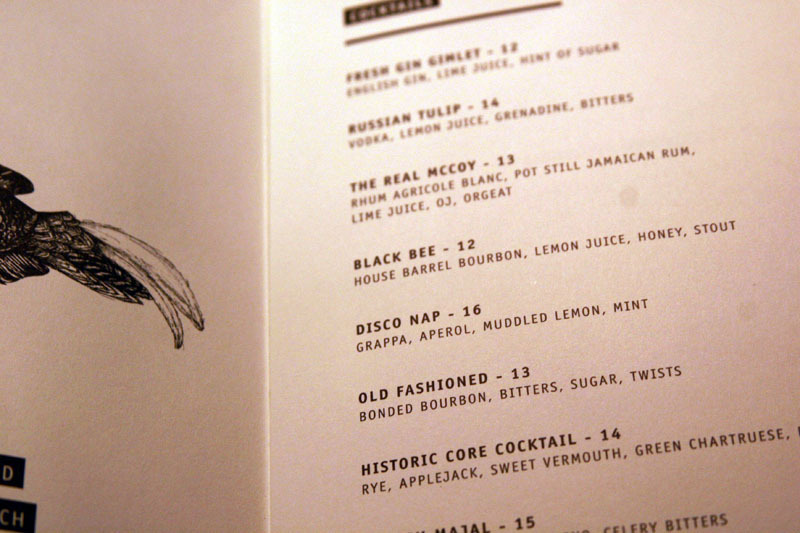 Casey Lane came to notoriety at the Tasting Kitchen, an Abbott Kinney staple. For The Parish he does his version of British gastropub, replete with Pork Head Pot Pie, Poutine Fried Oysters and, of course, fish and chips. 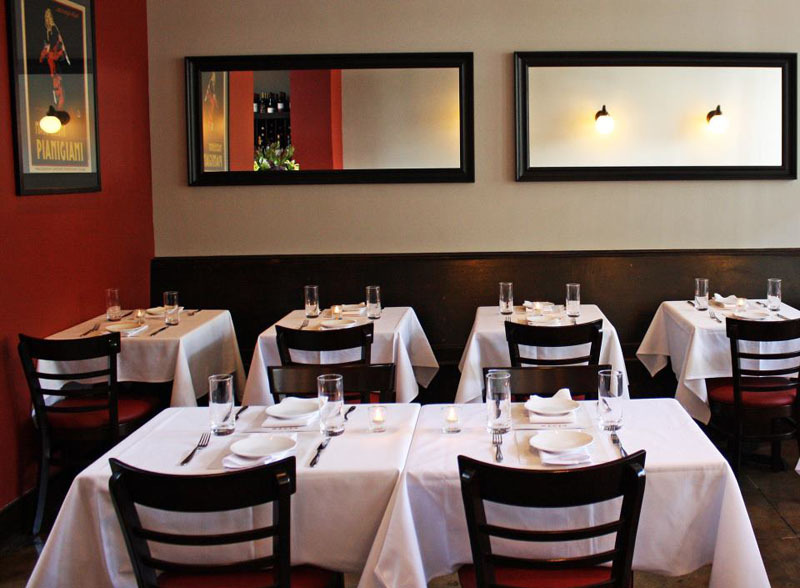 Its location in the fashion district will certainly keep it crowded. The decor is rich, the windows plentiful and the little patio is a nice, if not frivolous touch. The cocktails are fantastic, with the historic core earning a top spot for me. 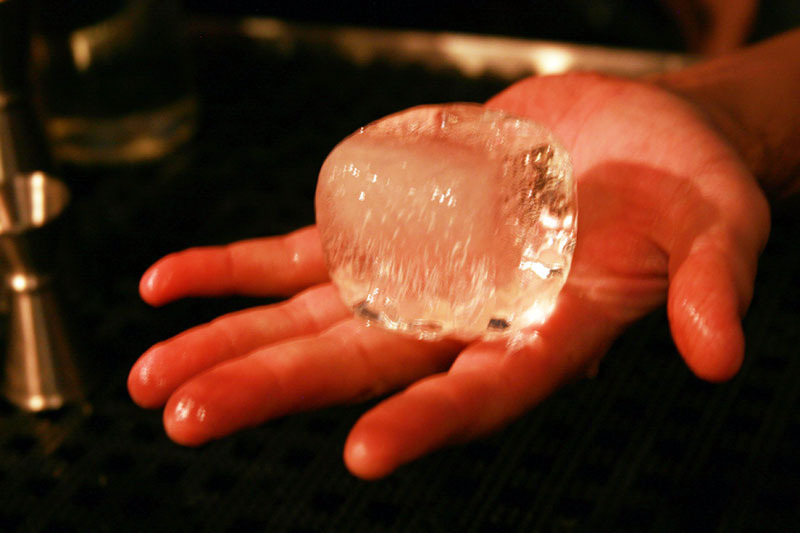 With a reverse osmosis ice program generating a range of different cube sizes for each cocktail, there’s plenty of thought and effort put into making great drinks. The fried chicken was the standout. The batter was as crunchy as dubstep beat. One of the surprises was the beets and horseradish yogurt on a spoon of granola. 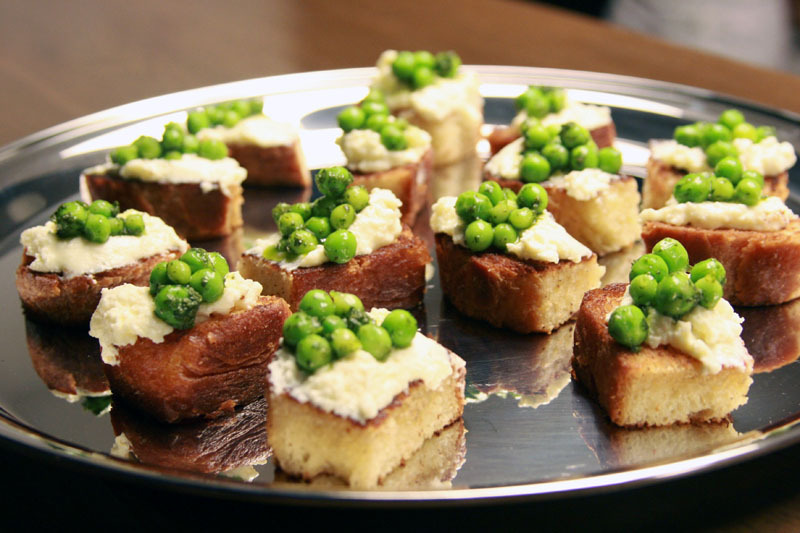 Another hit was the ricotta, peas, salsa verde brioche. 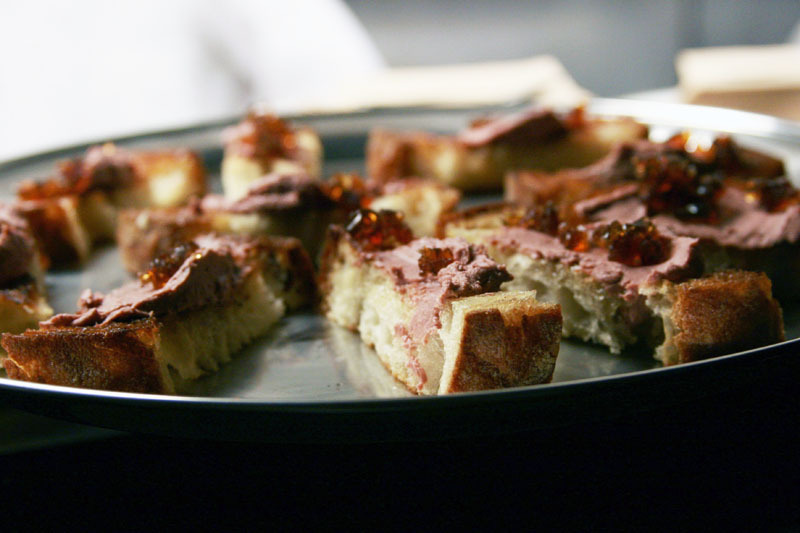 The chicken liver mousse toast was on point. The $20 fish and chips was discussed amongst the skeptical crowd. The only way to justify that price is for it to be a mind blowing fish and chips, if there is such thing. I haven’t tried it yet so I can’t report. The Parish will definitely be crowded, on the pricey side and a good place to eat and drink. The fried chicken is certainly worthy of a “Preach!” Amen. 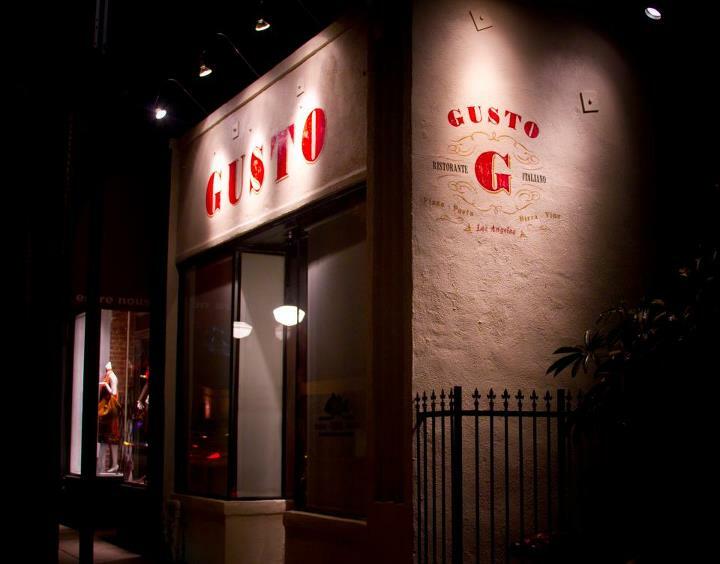 Last night I was very impressed by Gusto, the new mini Mozza on 3rd Street in West Hollywood. 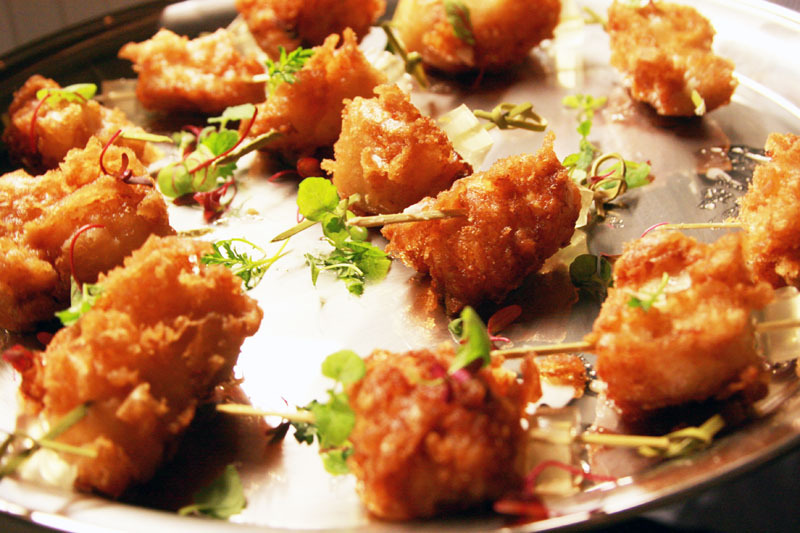 I stole the good pictures from the restaurant’s website. The bad ones are my own. Joan, the empress of Third, was sitting next to us so it was almost a guarantee that the food would be good. 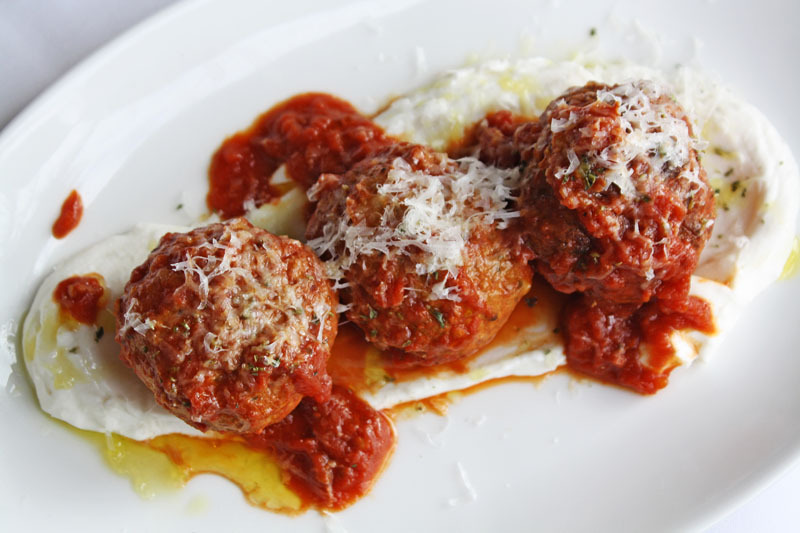 Gusto is a loud little Italian restaurant with great service, white table clothes and fantastic, dense pork meatballs. They would have ranked very high on the meatball marathon a few years ago. 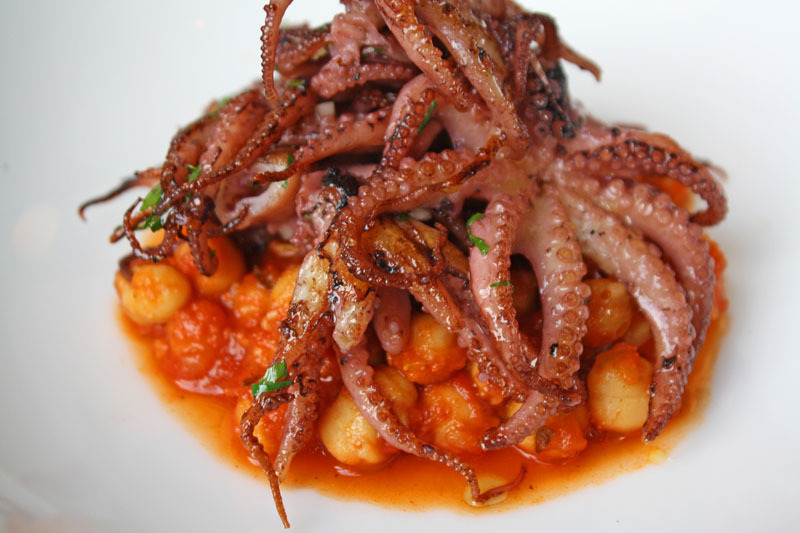 The Polipo – baby octopus, borlotti beans and harissa was a highlight. The execution was excellent. 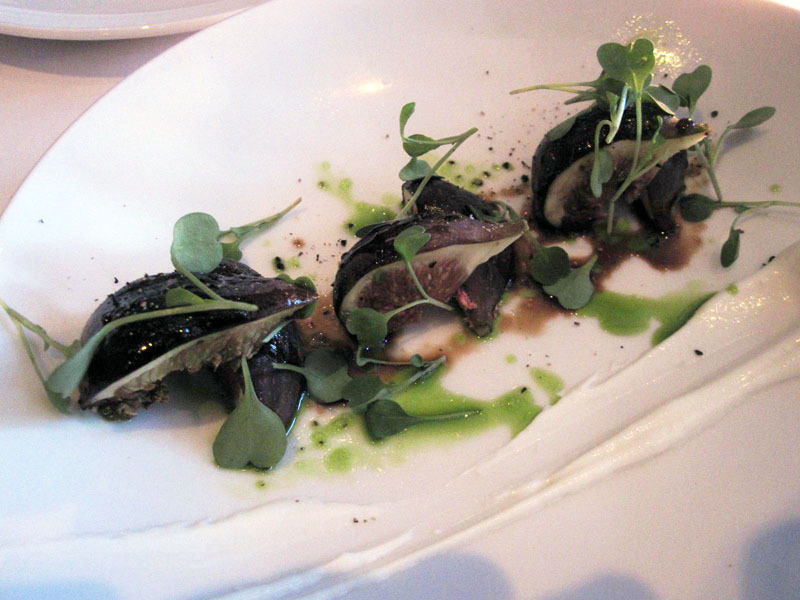 The fichi – figs, whipped sheep’s milk ricotta and saba was a simple starter. Next time I would get the braised honeycomb tripe. 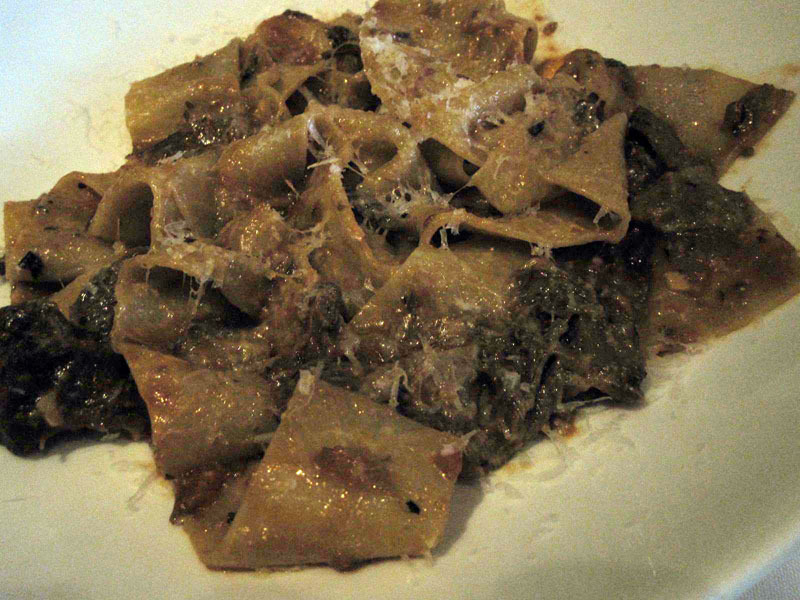 In choosing between the pastas we went with the papparadelle with oxtail ragu. It was great, although a bit heavy on the oregano. The other pasta was terrific as well (despite the horrible photo). 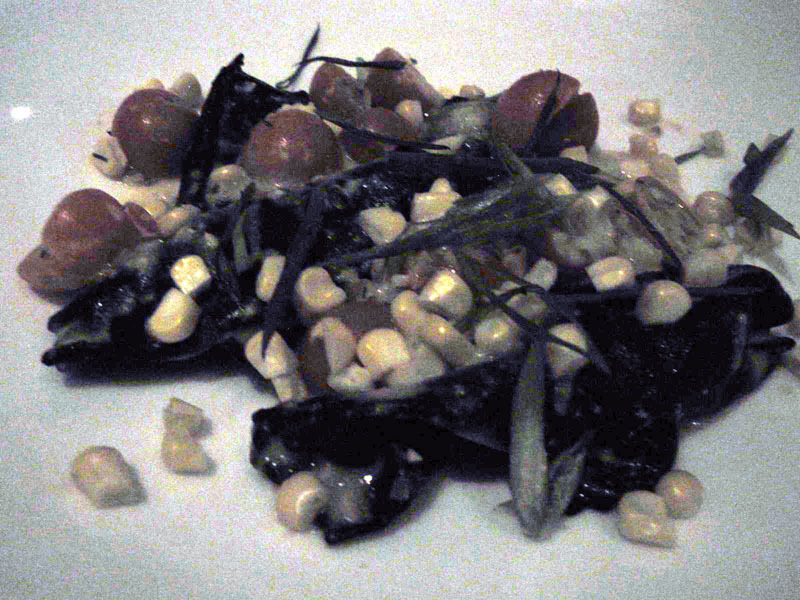 Squid ink agnolotti with sea urchin and summer corn was vibrant and rich without being overpowering. 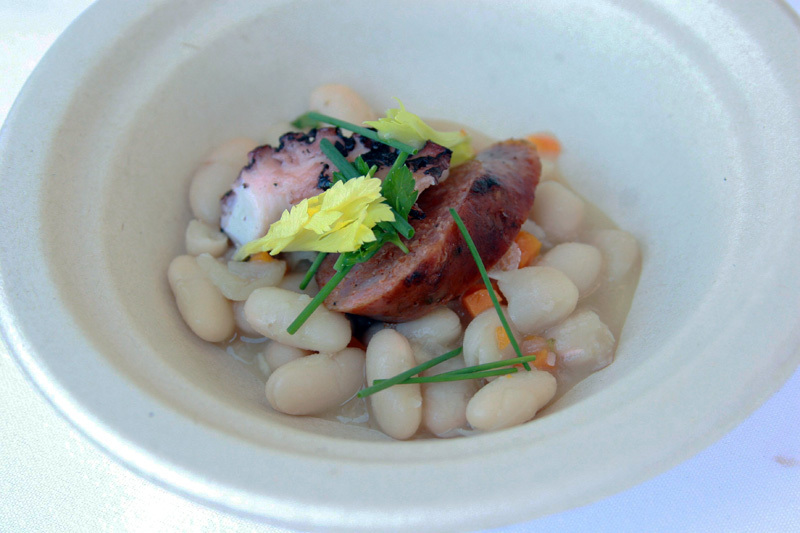 Gusto will be part of the massive Los Angeles Food and Wine Festival. 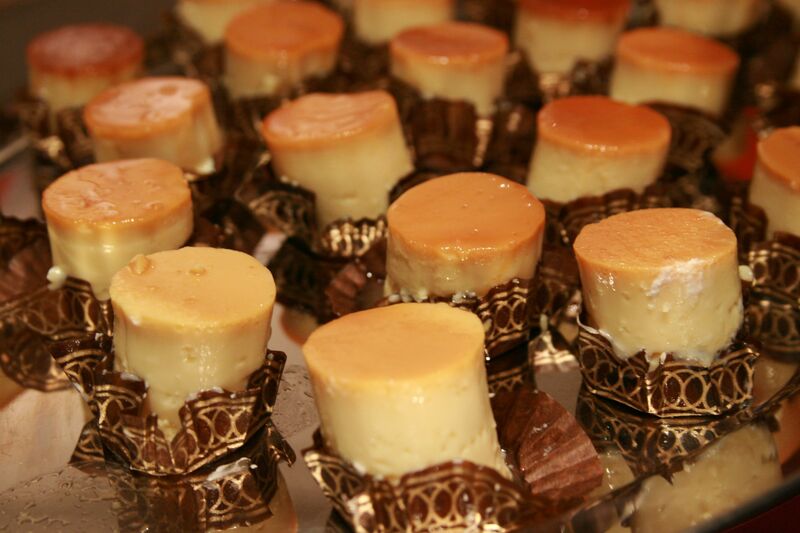 On August 9th Giada De Laurentiis is hosting and event with 25 chefs cooking Italian food. 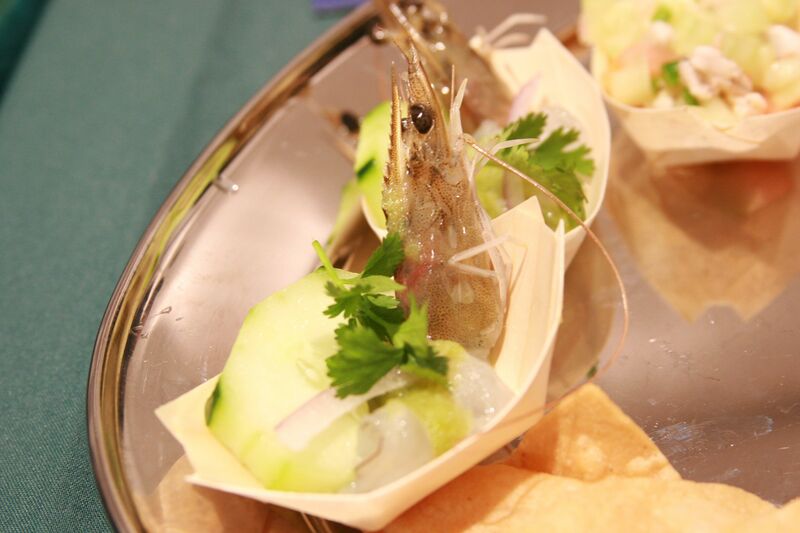 Restaurants represented include Mozza, Sotto, Angelini Osteria, Valentino and many more. You can buy tickets for it here. The list of chefs participating in the four day event is so extensive that I challenge you to name a chef that isn’t gonna be there. 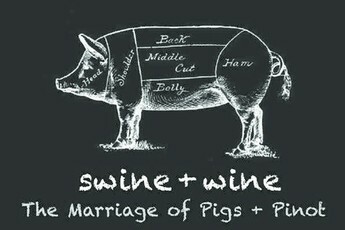 Neal Fraser is doing a Swine + Wine pinot and pig tasting at 10:30am Saturday morning. I’m a fan of anyone who drinks red wine that early in the day. 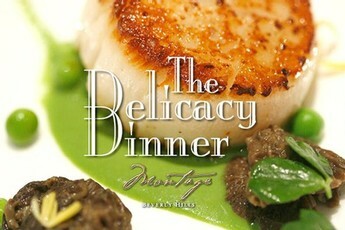 The $500 Delicacy dinner at the Montage in Beverly Hills is obviously gonna be unbeatable. Lobster, caviar, truffles and champagne with chefs from Michael Mina, Post Ranch Inn, Bouchon, Patina and the Montage. Check out the full event list and buy tickets here. 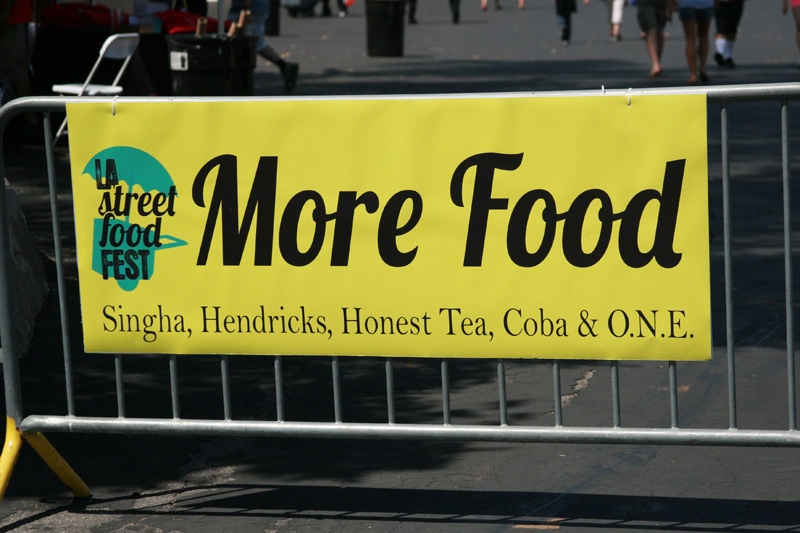 In 2010 LA Street Food Fest was on the field of the Rose Bowl and I ate a lot but didn’t take a lot of pictures. In 2011 it was outside the Rose Bowl and I ate a lot, took a lot of pictures but didn’t write that much. In 2012 the event was both on the field and around the stadium. 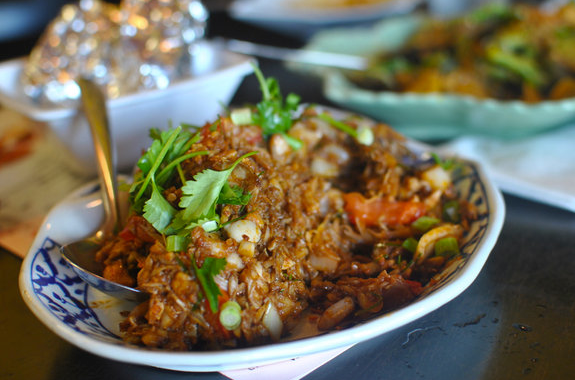 I focused more on the dishes/vendors I’d never tried before so this isn’t the most thorough review. I ate a lot as usual. 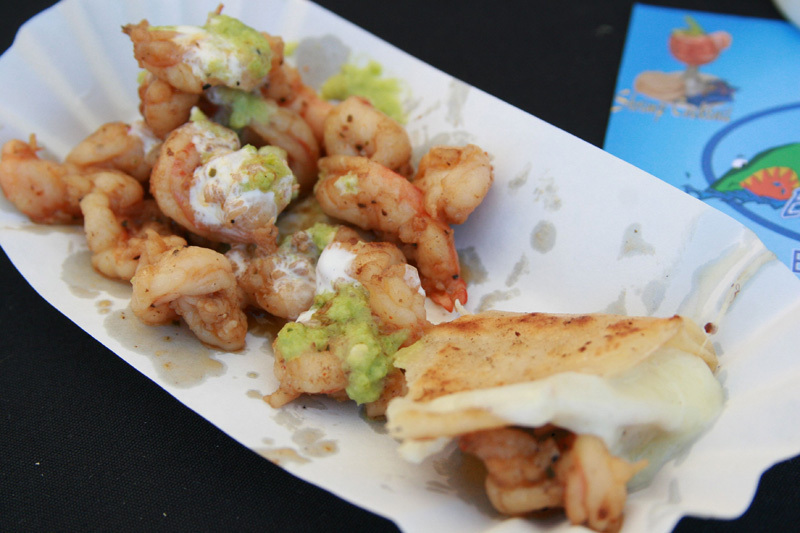 The reason the Baja chefs are the most exciting and best tasting part of LA Street Food Fest is not just because they come from the furthest location. 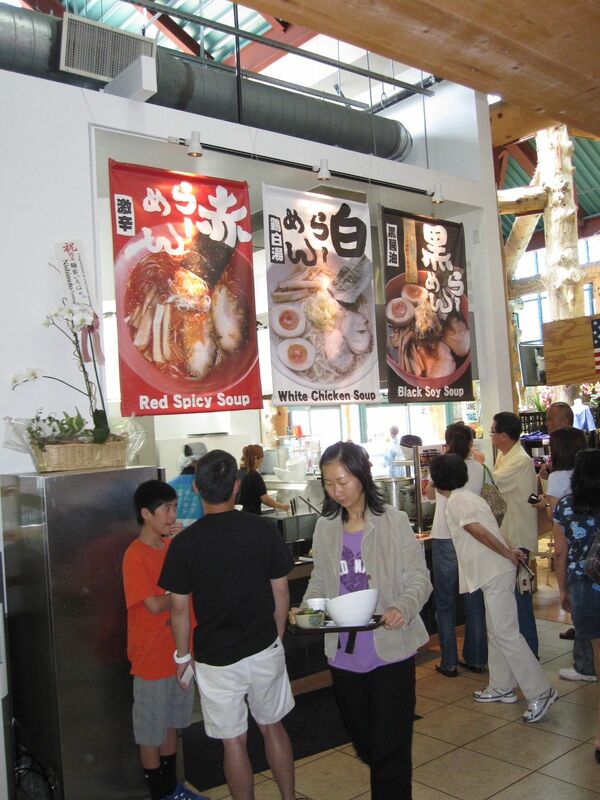 It’s more about the ingredients and flavors in their dishes. I love LA’s Mexican food. I love carne asada and al pastor. 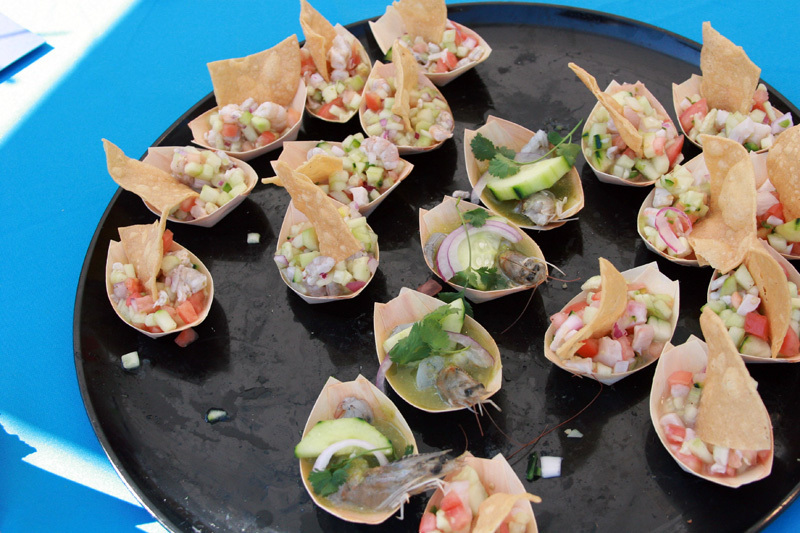 The Baja chefs flip it though- they served lamb, pork shoulder, sea snail, abalone… Even their shrimp, which was the least exotic ingredient turned out to by my favorite. 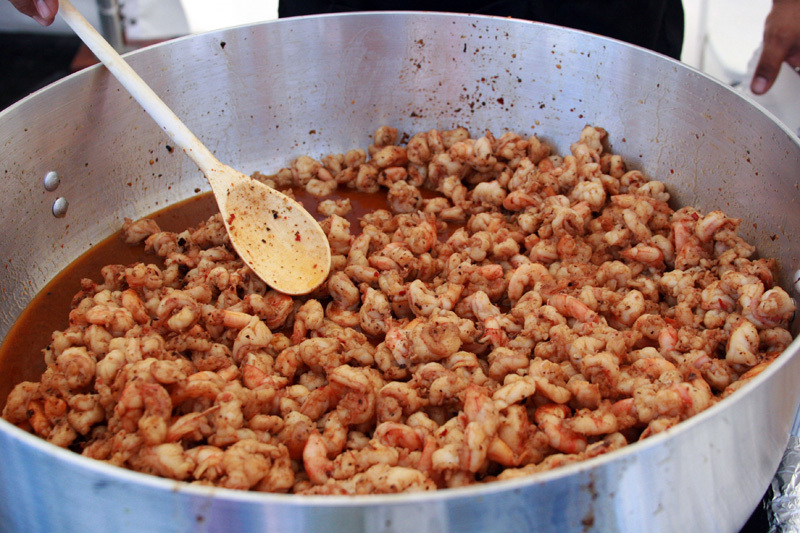 This pot of shrimp from Mariscos el Mazateño was simple and outstanding. 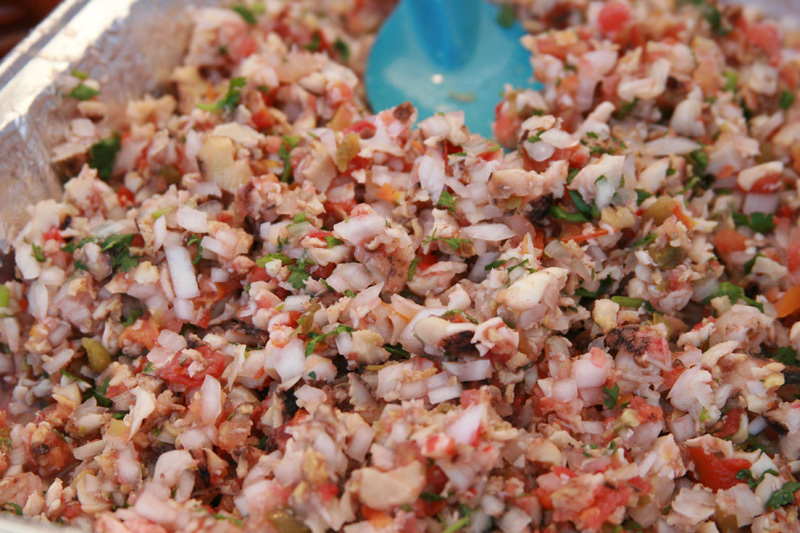 Mariscos “La Guerrerense” is famous for ceviche. 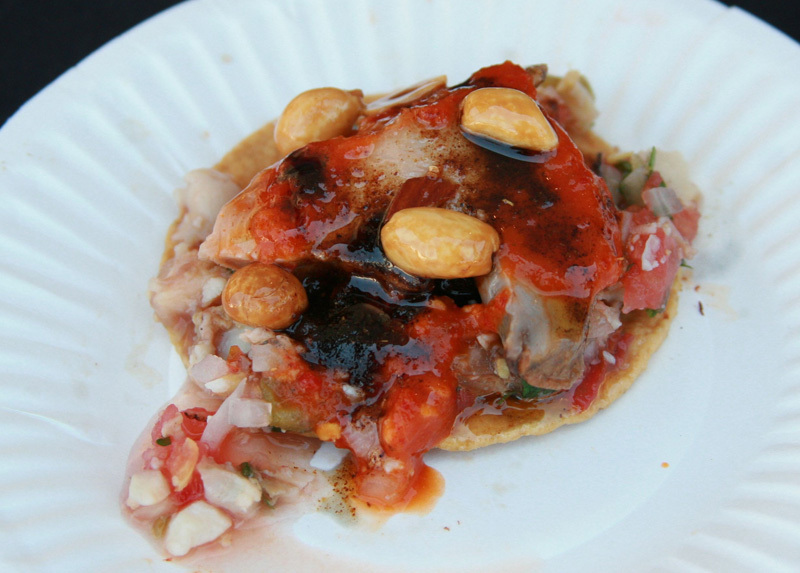 Last year I was enthralled by their habanero salsa with peanuts. 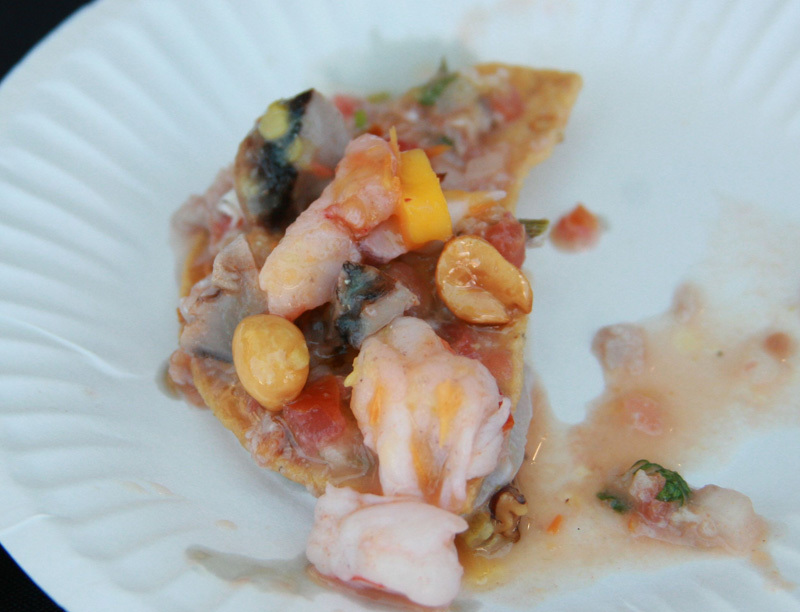 It covered the Tostada Campechana (shrimp, abalone and octopus) and Sea Snail Tostada. 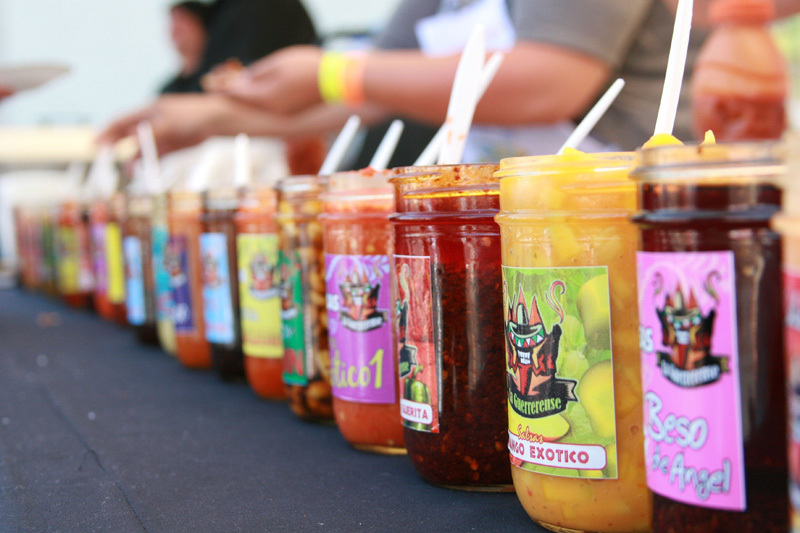 The variety of salsas can turn each bite into a totally different experience. 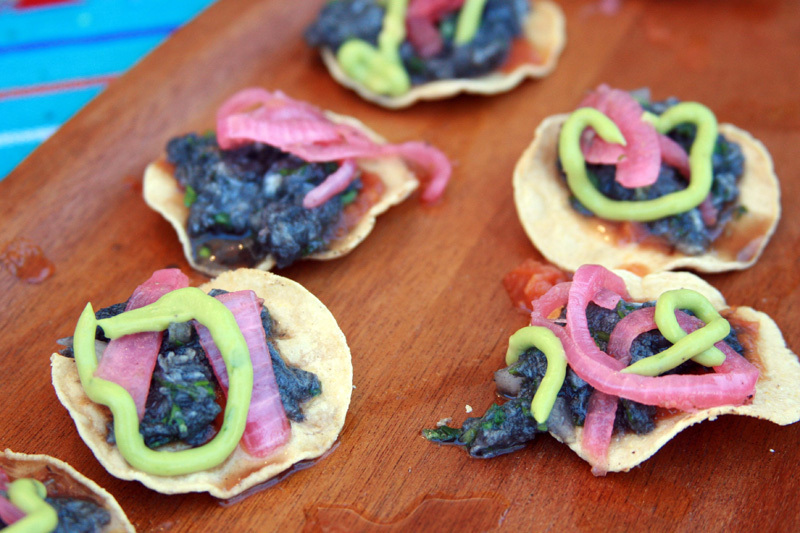 Tacos Kokopelli made their US debut serving Black Harder- ceviche marinated/cooked in lime juice and squid ink. You’ll see a lot more of these young culinary school trained chefs. 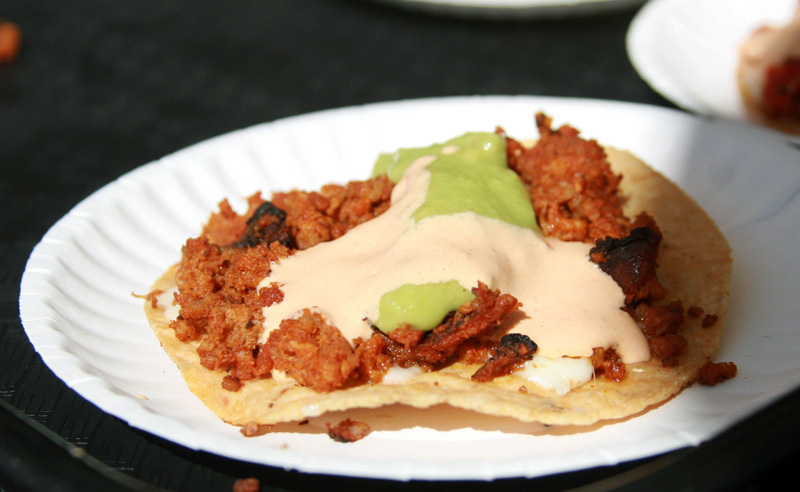 Bill from Street Gourmet LA introduced me to Chula Vista’s Aqui Es Texcoco. In addition to fantastic lamb tacos they had some secret pancita (chile rubbed stomach stuffed with lungs, kidney, liver, heart and pit roasted with the rest of the lamb). Just for good measure there was cabeza as well. The real secret ingredient really was the Papalo (short for papaloqulite or summer cilantro). 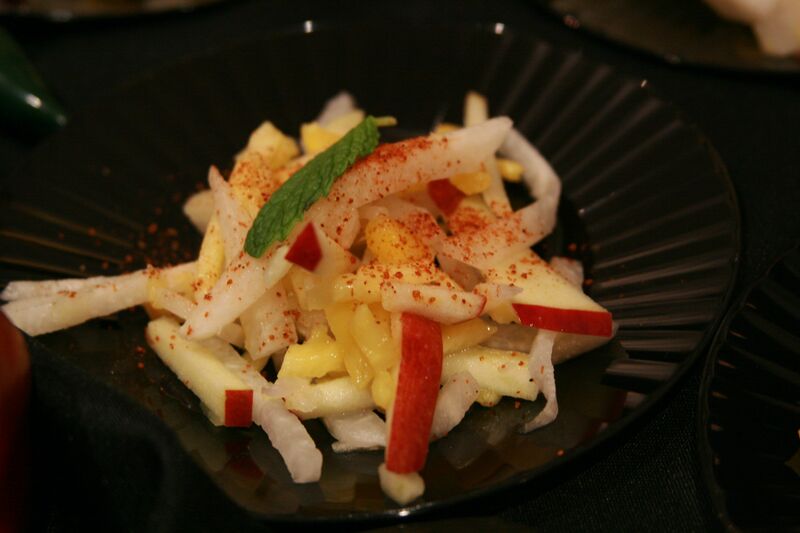 It’s an ingredient in the famous cemita poblana from Puebla, which added an acridity that was another special element the Baja chefs brought to the event. Another Bill referral was Antojitos Sofy. Again, bringing something I’ve never tried before they served Corundas. These small tamales aren’t filled with meat I’m used to. 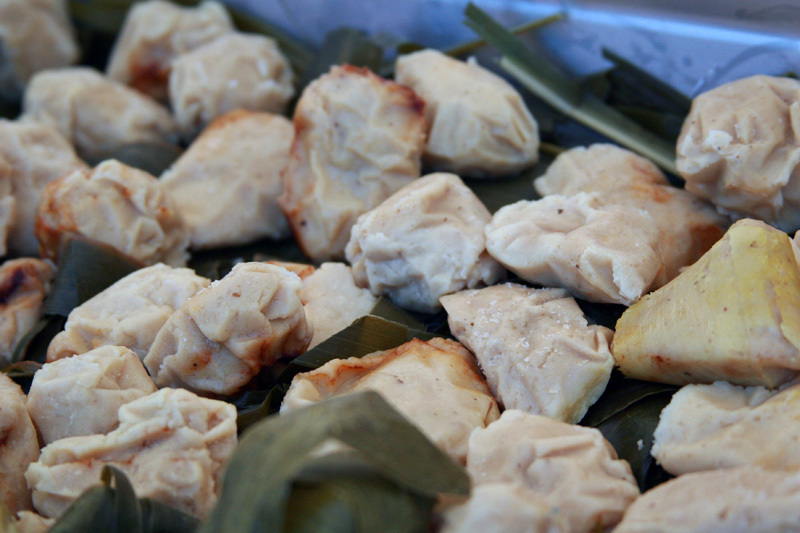 Instead the masa is mixed with cheese and wrapped with green corn leaves rather than dry husks. The result is an almost dumpling-like bite of brilliance. 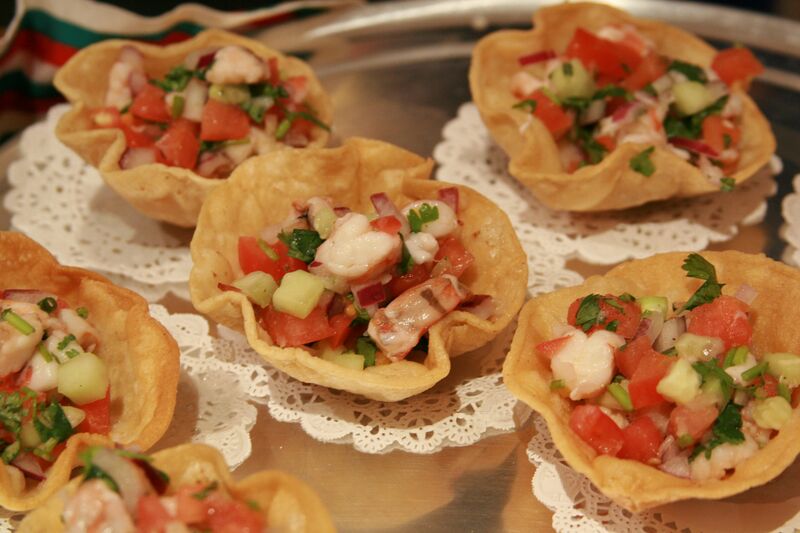 One of the best surprises of the day was the late addition of Coni’Seafood (fka Mariscos Chentes). 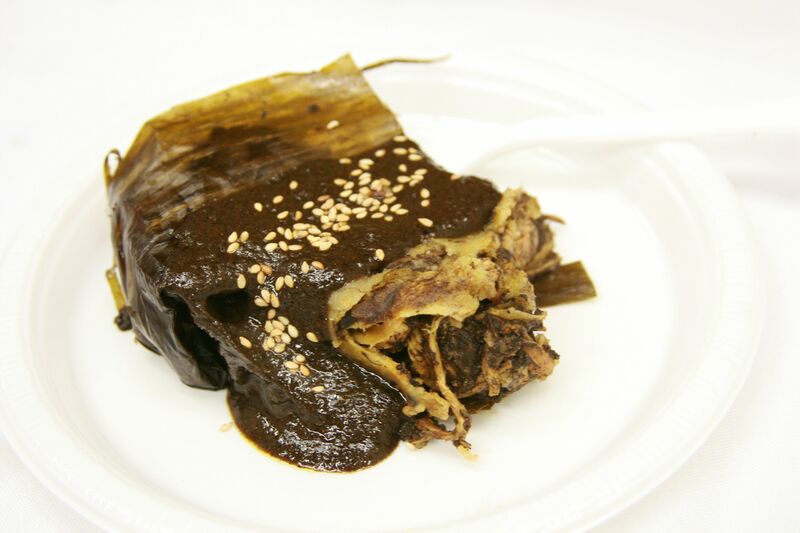 I recently visited their Inglewood location to try their Camarones a la Diabla and was impressed. 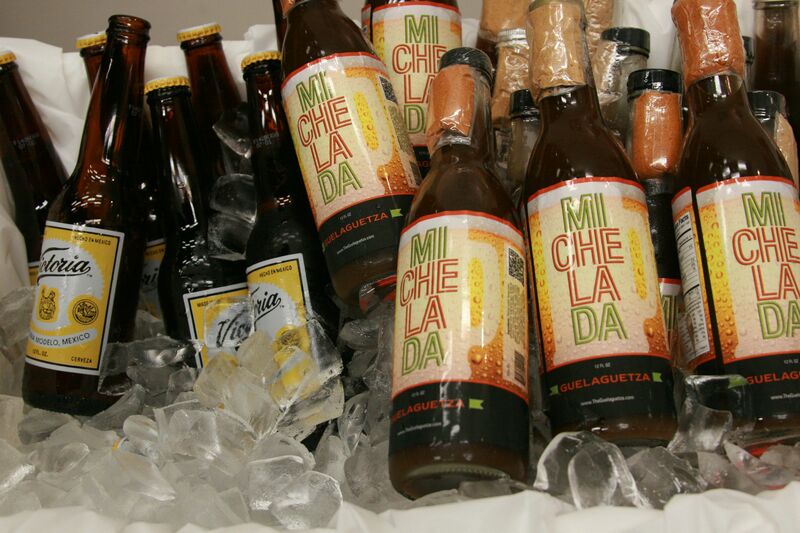 The Aguachile they had at the event was enough reason to go back for another visit. 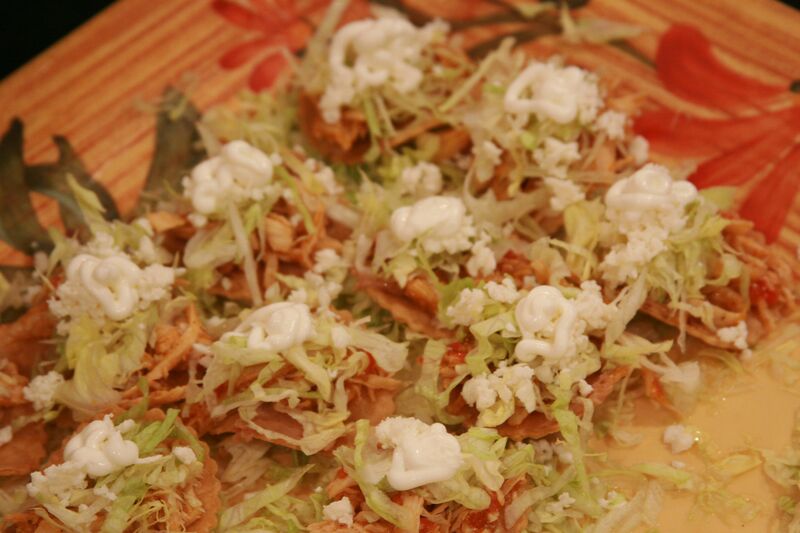 Mexicali Taco & Co was there with their Cachetada, a chorizo covered take on the classic tostada. 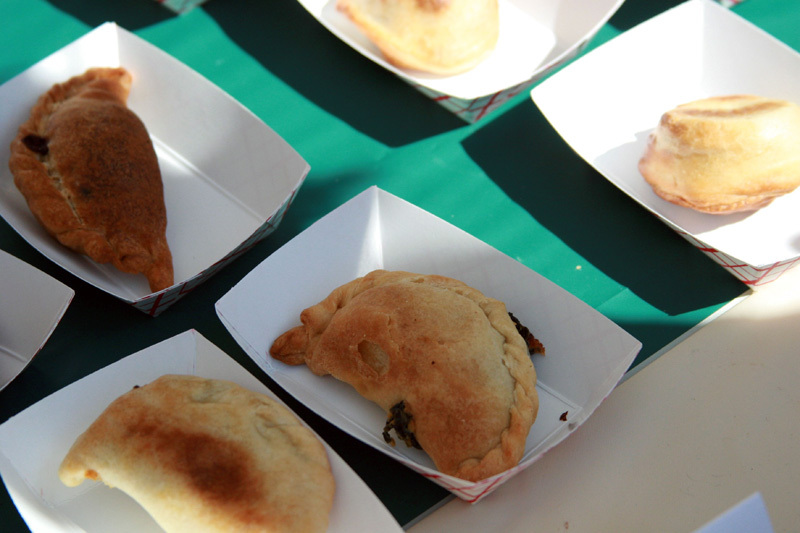 If for no other reason than the novelty factor, I had one of World Empanadas’s cricket empanadas. They’re brand new, in business for only six weeks in their take-out only location in Burbank. 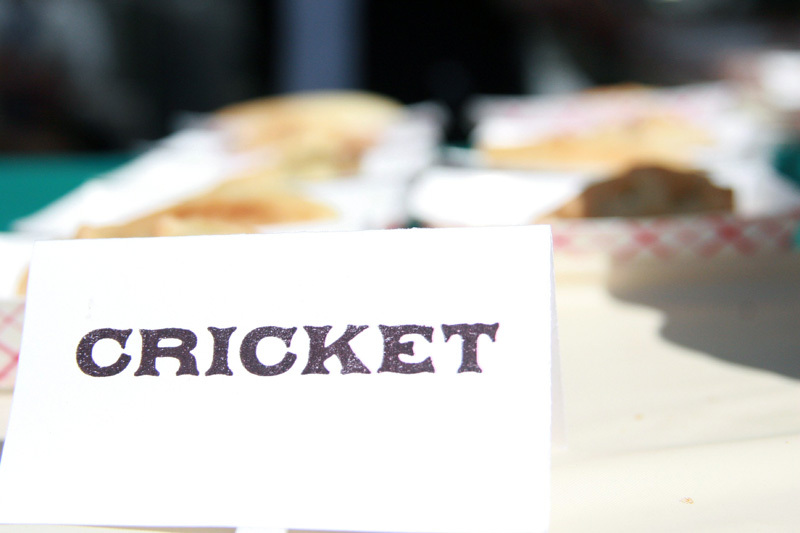 Next time you go to a party be a a hit and bring a dozen cricket empanadas. 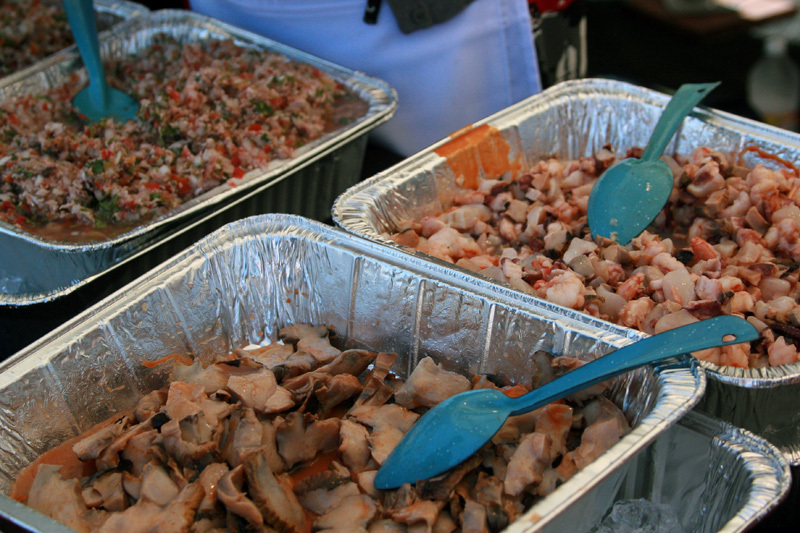 After effusing about The Park’s Finest BBQ in my last post I wanted to share some other Filipino food love. 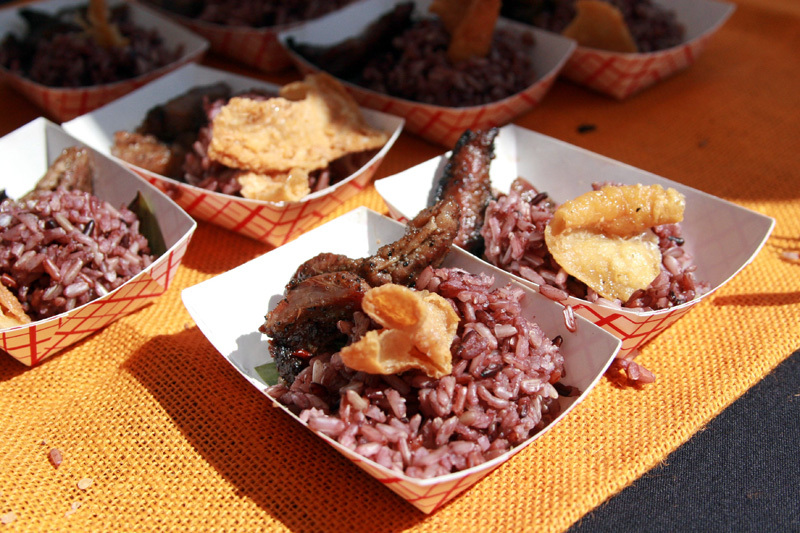 Isla Cocina Pilipina was serving barbecued pork over wild rice with sinamak sauce. 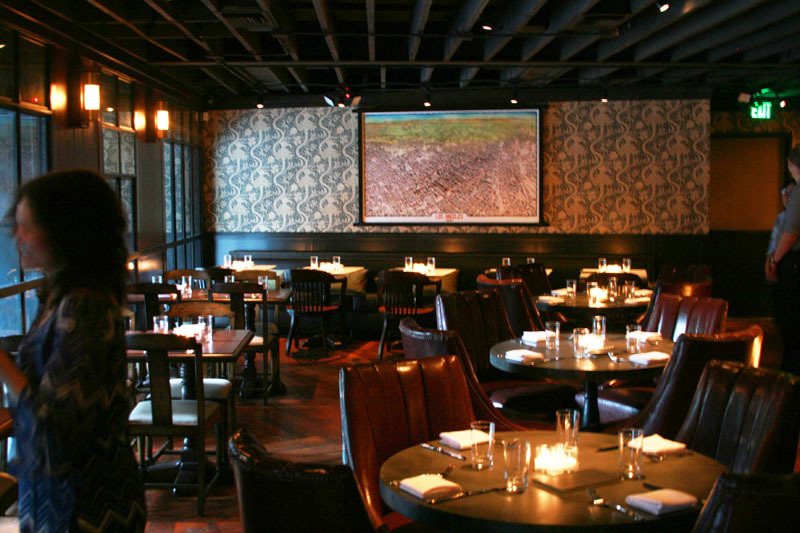 From the higher end restaurants, there was one notable debut. 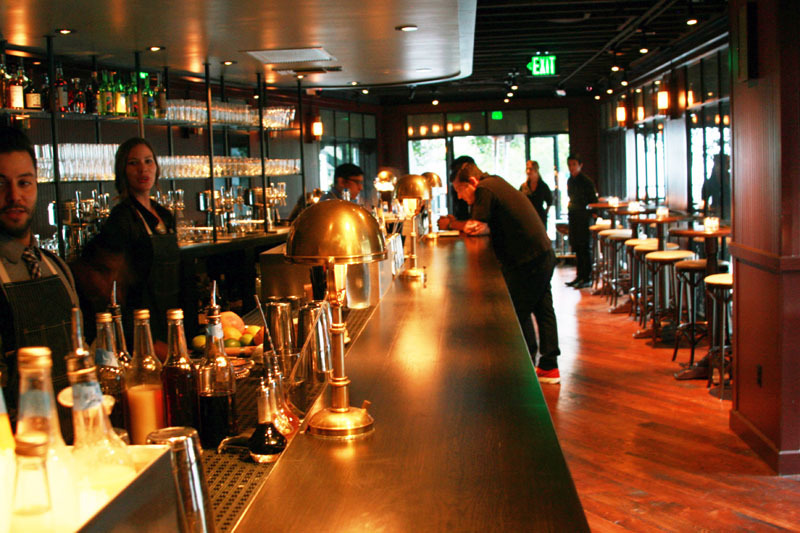 Bestia is soon to be the new hot spot downtown. If the grilled octopus and Calabrian sausage they served are any indication they will follow in the footsteps of popular places like Spice Table, Baco and Lazy Ox. 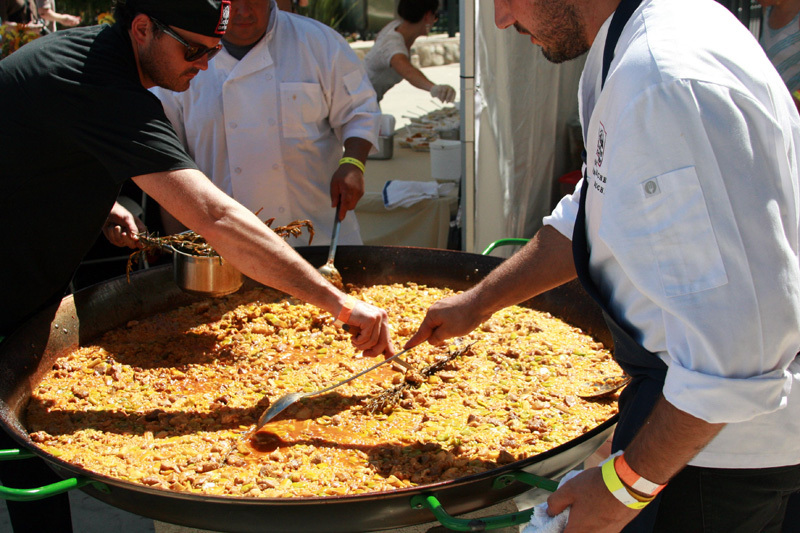 The Lazy Ox’s paella loving chef, Perfecto, brought the big guns, cooking in a kiddie-pool-sized pan. The Spice Table was very impressive with their curry chicken wings. They won Best dish in the Chef category. 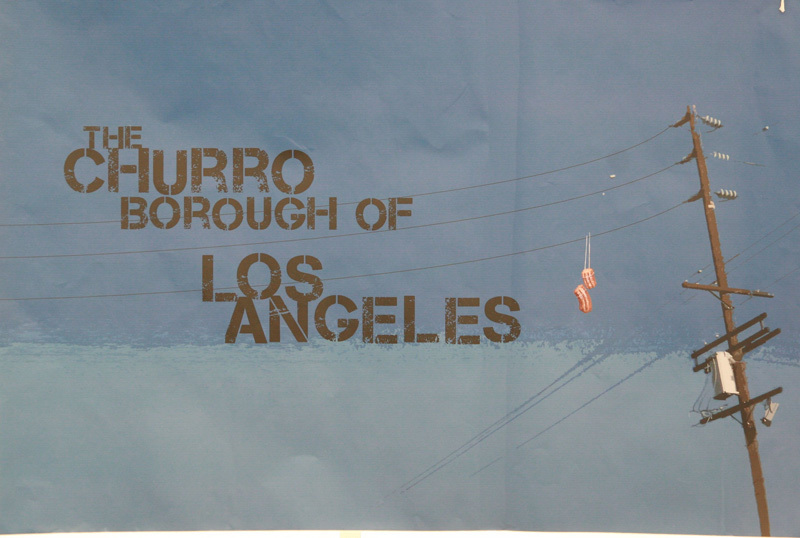 I was excited about The Churro Borough ever since I heard about their pop ups at Mexicali Taco. The Mexican hot chocolate ice cream sandwich was my favorite dessert of the day. 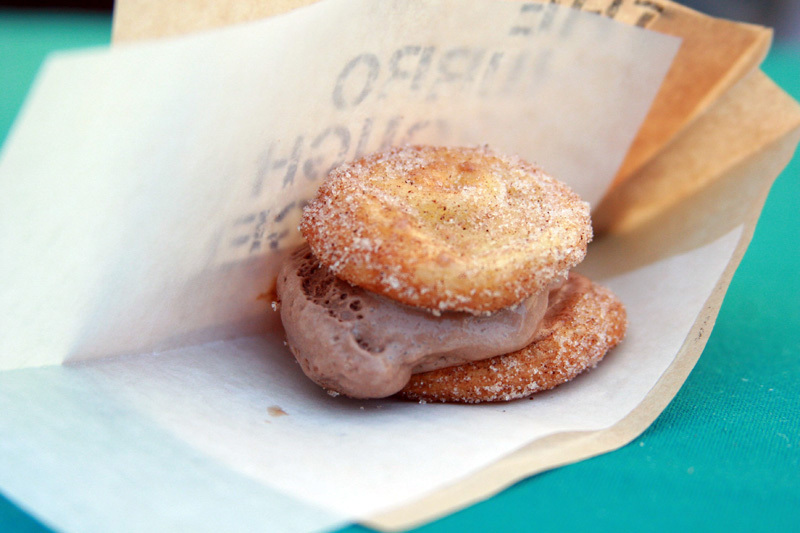 The churros were light and the chocolate had melted to a soft-serve consistency that made eating easy. 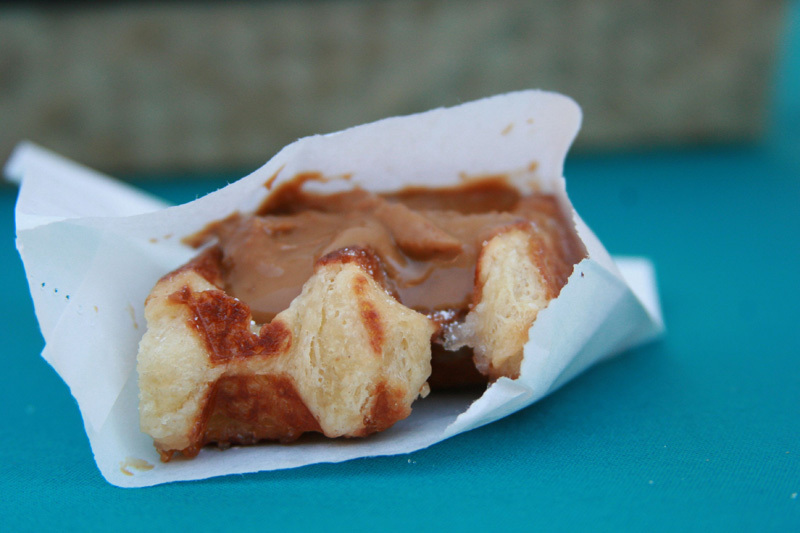 Last but not least was a surprise from Waffles de Liege– CRUNCHY SPECULOOS. Why Trader Joes sells creamy/smooth speculoos instead of crunchy is beyond me. And one more thing. 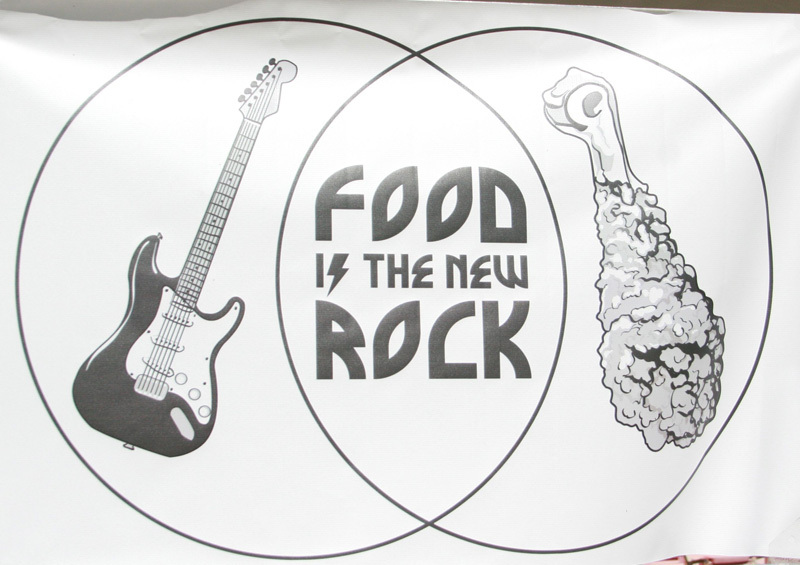 I want to plug Food is the New Rock because food and music go together like pork and shrimp. Their podcasts are burning up the iTunes charts. Check them out.